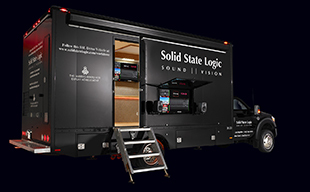 “First, we chose System T for its audio quality…"
SSL show full immersive feature set with path formats, panning and processing at IBC 18. “It's easier to sell a service if we have a brand like SSL onboard." This is the most comprehensive and streamlined DAW Control system ever seen on a broadcast console. SSL Delivers Powerful Automated Audio Production Without a Console, With New System T Products.